Swept up into the eye of a tornado, 20-year-old Dorothy Gale (Adria Arjona) is transported to another world - a mystical land where an all-powerful ruler (Vincent D'Onofrio) governs over one kingdom, has outlawed magic, and faces not only the wrath of a growing cauldron of witches but a looming disaster brought on by a mythical force. Epic, romantic and fantastical, "Emerald City" is an empowering tale of a young woman finding her true strength and identity even as she battles to bring a divided world together. Oliver Jackson-Cohen, Ana Ularu, Mido Hamada, Jordan Loughran, Gerran Howell and Joely Richardson also star. David Schulner, Shaun Cassidy, Josh Friedman and Matthew Arnold serve as executive producers. The series is directed by Tarsem Singh Dhandwar, who also serves as an executive producer. 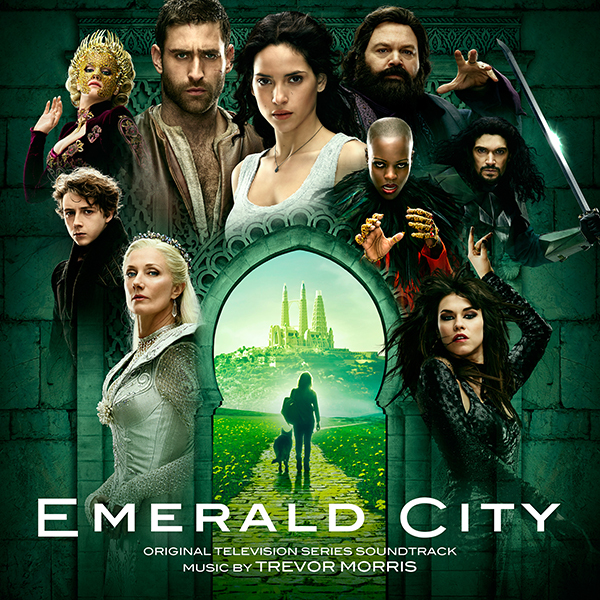 "Emerald City" is a Universal Television production. TREVOR MORRIS: Two-time Emmy-winning composer Trevor Morris has scored compelling compositions across a variety of mediums including film, television and video games. Trevor currently scores three of TIME magazine’s “22 New TV Shows You Should Watch in 2017,” including NBC’s “Emerald City,” which premiered on January 6th, “Taken,” premiering February 27th and Netflix’s highly anticipated Marvel adaptation “Iron Fist,” premiering March 17th. Morris also composed many critically-acclaimed feature films such as Antoine Fuqua’s “Olympus Has Fallen,” starring Gerard Butler, as well as the riveting sequel, Babak Najafi's “London Has Fallen.” In addition, he composed Camille Delamarre’s “Brick Mansions,” starring Paul Walker, Tarsem Singh’s “Immortals,” starring Henry Cavill and Mickey Rourke, as well as “Michiel De Ruyter,” (aka “The Admiral”), which is one of The Netherlands’ top grossing films of all time. One of the biggest show treats this year and now I have enjoyed the music... Trevor Morris is genius. Beoga "Before We Change Our Mind"
Let's Welcome "Brave Wave Productions"
WATCH IT: NEW CLASSICS FROM FOX CINEMA ARCHIVES!